With winter (and the mud it brings) just around the corner, we know that many of you are getting prepared by stocking up on ‘mud’ products. 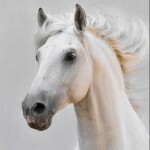 We know that the array of products available can, sometimes, make it difficult to choose the right one for your horse. We’re here to help, so we thought we’d put together a ‘cheat’s guide’ for you, listing the top three features of each product. Of course, if you’re still unsure, just contact us – we’re happy to help. – An easy to feed supplement that helps to nourish and support skin from within. – It can be used on its own, or with other products like Mud Block Cream, Mud Block Lotion or Mud Slide Lotion. 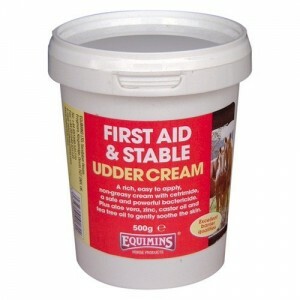 – It’s available in 600g, 1.2kg and 2.8kg tubs, with most horses receiving 20g per day. – Made with pig oil (also known as mineral oil) and antibacterial Flowers of Sulphur. – Based on a traditional blend, it’s been created to keep legs mud free… the mud slides off! – Ideal for wet, muddy weather, for horses with feathers (or without) as the lotion presentation makes it easy to rub into the hair. – A great barrier cream that’s easy to apply, non greasy and contains cetrimide in addition to essential oils and other important ingredients. – It can be applied each day before turnout, to provide a barrier between the mud and the horse’s skin. – It can be washed off each day using warm water and, ideally, an antibacterial wash, such as Winter Leg Scrub. 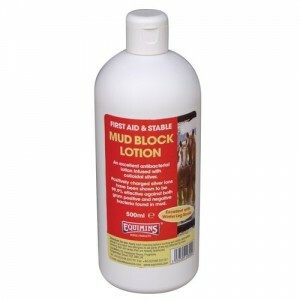 – An antibacterial lotion that helps to provide a barrier between the mud and the horse’s skin. 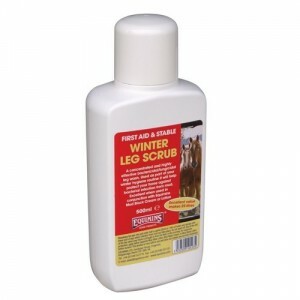 – Ideal for all horses, including those with heavy feathering, as the lotion presentation makes it easy to rub in. – It contains colloidal silver, which is produced by an electrolysis method, to hold the silver particles in suspension in the lotion. Silver has been shown to have antibacterial properties. – Provides both Winter Leg Scrub and Mud Block Cream in one package that saves you money! – This combination allows you to put cream on your horse’s legs before turnout and rinse of mud when he comes in from the field without the need to buy any additional products. – A first aid kit essential that also makes a great barrier in muddy conditions. – This antibacterial cream combines the benefits of MSM, aloe vera, zinc, castor oil and the essential oils of tea tree, lavender, chamomile and jojoba. – Can also be used to soothe minor skin conditions and to aid hair regrowth. 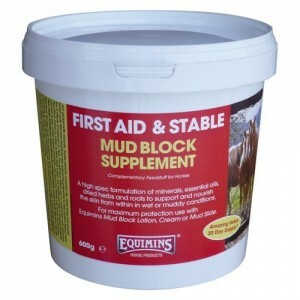 – An easy to apply barrier for muddy conditions that’s available in 500g, 1kg and 2.5kg quantities. – Also contains cetrimide, aloe vera, zinc, castor oil and tea tree oil. – Water based and easy to apply. – Lanolin based ointment that can be used as a barrier in muddy conditions. – Also contains cetrimide, aloe vera, castor oil and tea tree oil. – Available in 500g and 1kg tubs. – A water repellent, no sting, easy to apply first aid balm that can also be used as a mud block. – Can be used on a number of skin conditions as well as to help maintain healthy skin. – Contains no harmful chemicals or strong odours. – An anti-bacterial, anti-fungal leg wash that can be used after a day in the field. Perfect for use on its own…and even better with other mud products that provide a barrier in the field. – Free from harmful chemicals, in fact, the diluted formula doesn’t need to be rinsed off after use. – It’s supplied in a concentrated format, so 500ml is sufficient for 25 applications. To find out more about our mud products, just type ‘Mud’ into the search in our website, or visit the First Aid & Stable section for the full collection.